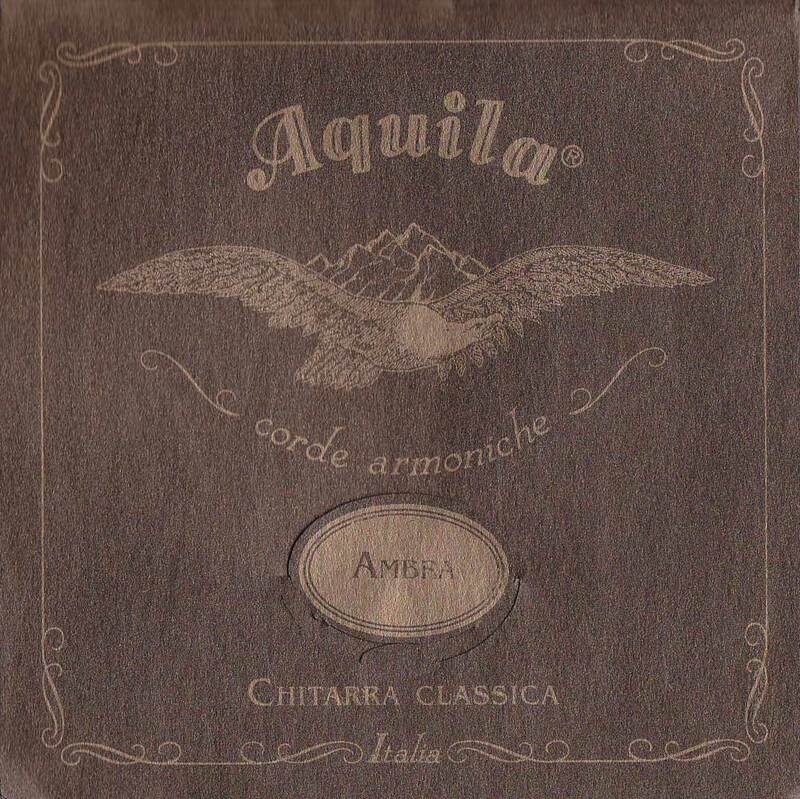 AMBRA 900 - Historical Guitar set (suitable for A-435 Hz pitch). Synthetic Version of the Gut & Silk 900 string set (1880-1956 musical performances). The strings best re-create, by means of modern synthetic materials, the sound of Llobet and Tàrrega. This set was conceived for one grade of tension and consists of rectified Nylgut® - true synthetic gut, - for the trebles, adopting the representative mean diameters as indicated by Pujol in his "Escuela Razonada de la Guitarra" from 1934 (less scaling tension than the modern guitar trebles), while for the basses (silvered copper wires wound on Nylgut® multifilament core) to find the right balance between wire and core, which would recreate exactly the typical sound of the wound silk strings of the time. Up to the middle of the 20th century, the only available strings for guitar were plain gut for the trebles and wound on silk core for the basses: their acoustical performance was quite different from that of modern stringings. The salient characteristics were: a marked timbric presence, response and brightness typical of the gut strings (certainly superior to plain nylon and in some respects closer to PVDF or carbon) while the basses, on the other hand, possessed an exquisitely vocal quality, i.e. not so bright as, and with less sustain than, modern wound on nylon strings and more fundamental heavy. The AMBRA set was developed keeping in mind this historical fact. The new synthetic materialNylgut®("synthetic gut") has the same acoustic properties as gut - but without its typical defects - (high cost, limited duration and high instability under varying climatic). Nylgut® has precisely these qualities: allowing one, on the one hand, to rediscover the sonorities familiar to the great 19th and 20th century masters; and guaranteeing, on the other, a stability of tuning higher even than that of the best gut and nylon strings. Not for long, sustaining bass, but a soft, deep, beautiful replica of silk strings as per pre-nylon. Obviousy more durable.